The whiting are still biting!!! As we approach the end of July things are looking fantastic for anyone who wants to cast their line along our beaches. We had a little shot of cold water in some areas during the mid-week period but a trip to Stuart Beach again today proved the water has warmed back up and the whiting, croaker, small pompano, and even a bonefish were all in the mix today. Randy and I headed down a couple of hours before high tide and the whiting were in a biting mood immediately. 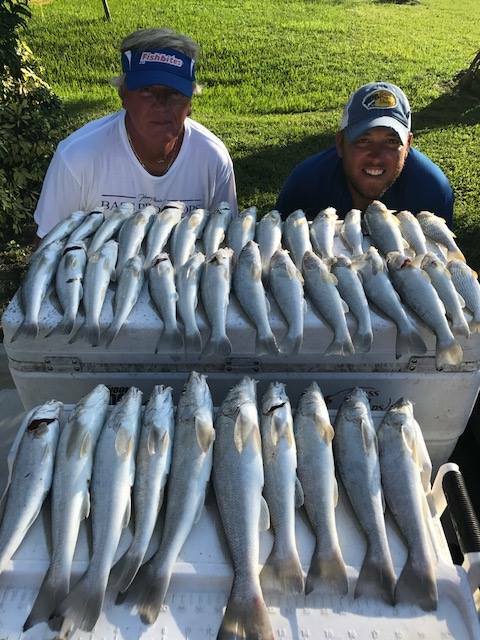 As sometimes happens during the rising tide, some small and medium sized fish appeared first, but as was the case today, once we hit the high tide mark the big whiting were there. I know this may sound like a broken record but Orange Clam Fishbites were once again the bait of choice. The five to ten yard distance from the edge of the beach in the near shore trough was once again the location to target. Randy also managed to catch and release a small bonefish and I did the same with an undersized pompano. There was also a greater number of croaker in today's count. Calm surf, clean green water, and a bag of Fishbites should all add up to having some fun on the beach if your plans include surf fishing this weekend. These big whiting make great tablefare and all of my friends and family that I have given fish to this week will agree. Deb cooked them on the George Foreman grill this week after breading them and if that method doesn't make the best fish sandwhich, I dont know what does. Randy treated his family to a dinner of fish tacos with some whiting and they said it was fantastic. Lighten up your gear to a 7 foot spinning rod with a 3000 or 4000 size reel and these big whiting will provide some great action. Good luck and catch em up! INSHORE: Catch and release snook fishing remains good in the ICW and Loxahatchee River right now. The bridges are also producing good number of snook at night. Look for the outgoing tide to produce the most snook bites. Spillway snook bite has also been very good as of late. Flair hawk jigs and spooltek swim baits are both good choices for the snook at the bridges and spillways. Scattering of mangrove snapper around inshore right now. Small live pilchards and live shrimp are the bait of choice for the snapper right now. Like the snook, look for the snapper to bite best at night on the outgoing tide. Other inshore action remains a bit spotty. Look for things to turn around drastically in a few weeks with the arrival of the first schools of finger mullet. SURF/PIER: Catch and release snook fishing remains the best game in town right now. The snook are spread out along the beach in good numbers, schooling in the inlet, and stacked up at the Juno Beach Pier. The snook will bite flair hawk style jigs, big swim baits, and swimming plugs at night or during low light periods of the day. Once the sun starts to get up a little higher up it's much better to switch over to live baits. Live croakers and sand perch are the top bait choice for the snook right now (especially for the bigger fish!). Scattered mackerel around right now, but not in big numbers. Bonita and a few kingfish are being caught off the end of the Juno Beach Pier. Rapala X-Raps and diamond jigs are a good choice for the kings and bonies. Mixed bag of croakers and sand perch in the first trough. Small pieces of fresh shrimp are the bait of choice for them. The beach Snook fishing slowed down a bit with this colder water, you can still find them cruising the beach but they are very spooky. There have still been a few tarpon around the crossroads but it seams that most of the beach tarpon have moved on past Vero. There are a bunch Snook at the St Lucie inlet to be caught, Live Pilchards will work the best at hole in the wall on an incoming or by Sailfish point on an outgoing tides. Along the beaches around Jensen Beach, the whiting and croaker fishing has been outstanding. Whether casting out to the trough or right off the beach they’ve been hitting. Fishbites combined with pieces of clams on small hooks are producing the best results. Catch a small one? They make great bait for snook. Yes, snook are still biting, but remember it’s catch and release only and to get them back in the water quickly. Around the St. Lucie and Fort Pierce inlets the tarpon and jack crevalle fishing has been excellent. There has been good palometa, permit, tarpon and barracuda action at Gulfstream Park in Delray Beach. 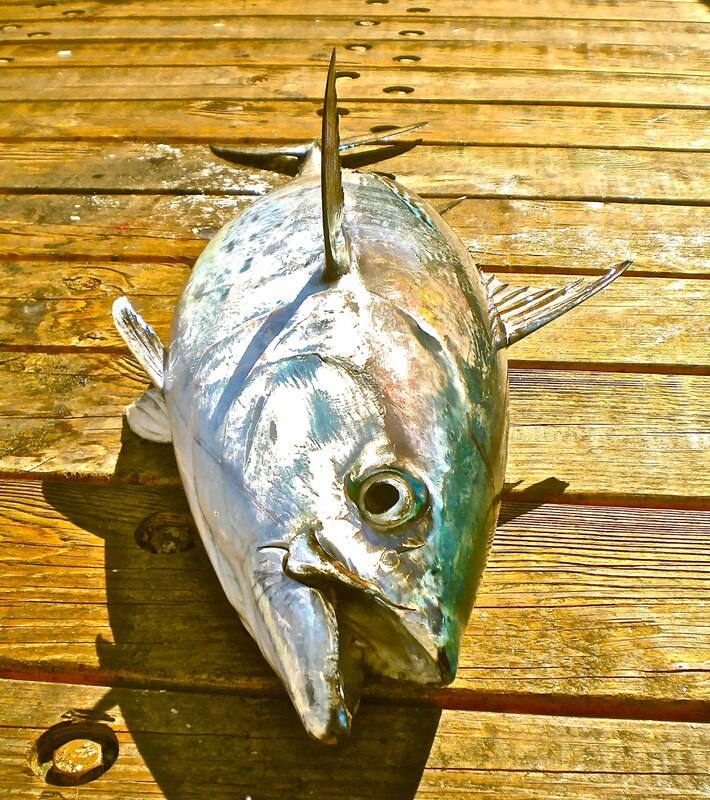 For palometa, anglers are using live shrimp on pompano rigs, for permit and tarpon, 2-ounce yellow jigs tipped with live shrimp and bounced along the bottom and in the early morning casting surface poppers, tube lures or large Zara spooks is generating explosive hits from barracuda and tarpon. Goggle eyes, large pilchards, cigar minnows and threadfin herring have been schooling up and moving all around the Boynton Inlet this week. Anglers there have reported excellent snook and mangrove snapper fishing off the north jetty during the day. Night anglers have been catching snapper, snook, permit, tarpon and barracuda using a variety of live and fresh cut bait. Moonfish have been hitting small jigs fished under the lights during incoming tides. Intracoastal Waterway surface temps have been reaching 95 degrees causing most fish to seek cooler water in the channels, under docks or deep holes found around the lagoon. Snook, small tarpon and large moonfish are being caught around the dock lights at night using both live bait and epoxy minnow flies. Lantana bridge anglers have reported catching jack crevalle and barracuda. The bass fishing has been really good in the early mornings and late afternoons. The artificial bite has been best in the mornings with anglers using PT-7s, swim jigs and spinner baits with great success. In the afternoons, wild shiners have been the way to go. The bluegill bite is still good with anglers using crickets and worms. Ron Johnson from Chandler, Arizona. with his first snook, a 31.5-incher! Caught on live shrimp at the Fort Pierce Inlet jetty the day before season closed. Photo supplied by Capt. Joe Ward. The summer patterns are in full swing and you will need to fish early in the morning from daylight until about 9 a.m. and then again from 6 p.m. until dark for the best results. Trout fishing should be good at places like Bear Point, Pete Stone Creek to the south and Harbor Branch and the Torpy Road area to the north. 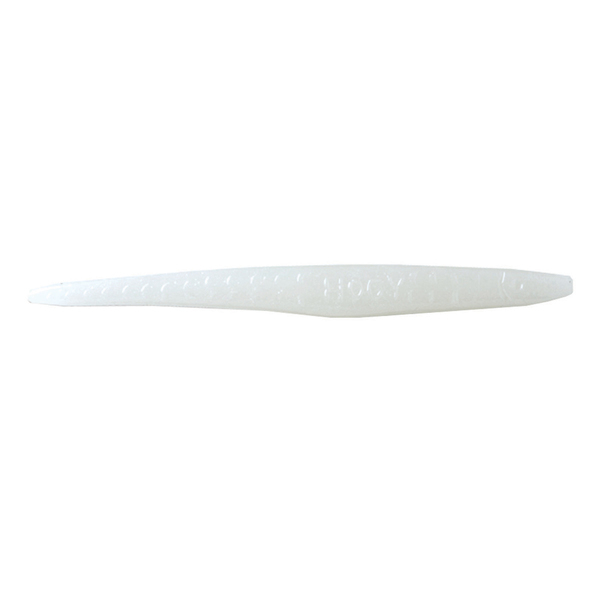 Try using top water baits like a Zara Spook in natural colors or a Chug Bug in a bright color. Live shrimp, greenies or pilchards fished under a popping cork will be hard to beat for the trout if you can keep it from the big jacks that are roaming the flats. The redfish should be around the mangroves around the Round Island area and the docks along Indian River Drive. Try crabs, shrimp or a piece of cut ladyfish fished on a 2/0 live bait hook and a two-foot 20-pound fluorocarbon leader and you should be in good shape. The snapper fishing around the local bridges and channel edges should be red hot around the full moon. Try using live baits like mojarra, greenies, pilchards or a live shrimp. Fish any of these on a #2 hook with a 20 to 30 pound flourocarbon leader and a small weight like a half-ounce to a one-ounce. 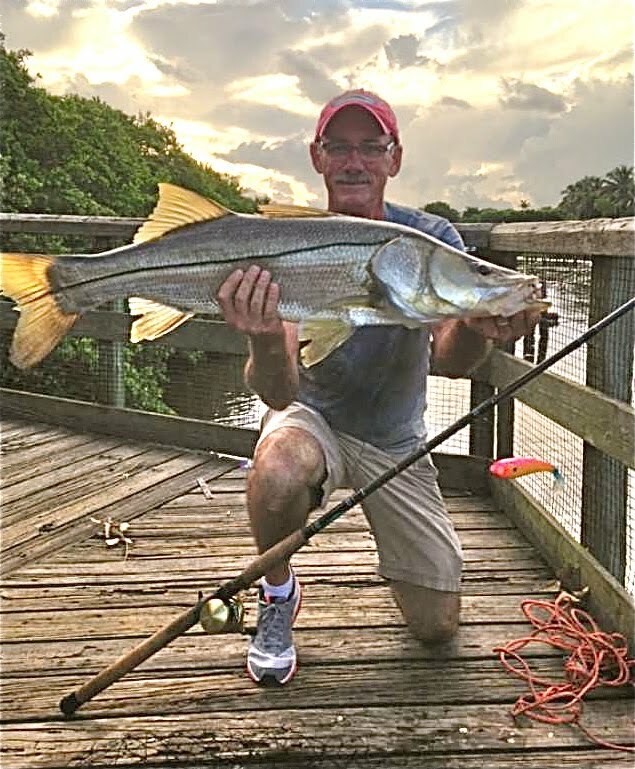 The snook are still catch and release but there is plenty of action around the Fort Pierce Inlet, around both bridges and the beaches. A live pilchard or pinfish are going to be the best baits to use. 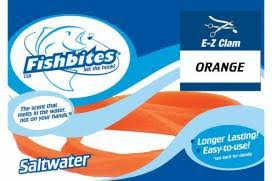 Try fishing the Fort Pierce Inlet with a big enough weight to hold the bottom or free line the baits in the surf. 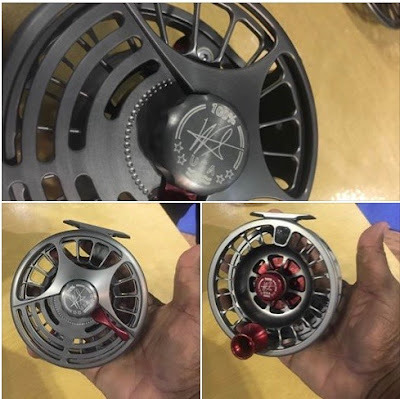 Just wanted to do a quick weekend surf fishing report because anyone who is considering trying to bend a rod this week, don't hesitate - get out and try it. The whiting bite is as good as it gets, both in numbers and size, so go have some fun and catch yourself a couple of great fish dinners. We fished at Stuart Beach again today and this was the best action we have seen this month. Orange Clam Fishbites on a whiting and croaker rig in the first trough continue to be the hot bait that is accounting for all of our bites. This type of fishing is great for kids and there couldn't be a better way to introduce them to fishing on the beach. It's another pleasant morning at the inlet. We have some cloud cover and winds are blowing out of the South-southwest at 6 mph, gusting to 9. There is a light chop on the water. Winds will increase and become variable this afternoon. We have a chance of showers and thunderstorms in the late afternoon. There are no NOAA advisories this morning. Spanish Mackerel and Mangrove Snapper have been the most targeted fish from the jetties although the bite is sporadic. Early morning, late afternoon and evenings have been the most productive due to the heat. Catch and release Snook have worked up an appetite as they begin to wind down spawning season. Snook are catch and release until September 1st, please handle the big breeders with extra care. Our angler of the day is Ryan Speckl from Colorado. 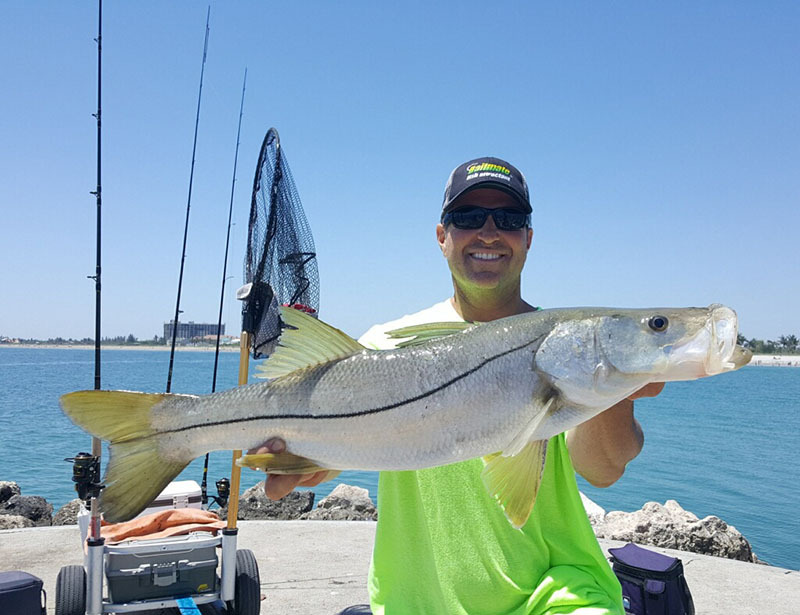 Ryan fishes the inlet every summer and reported that C/R Snook were particularly active from the south jetty. In addition to the C/R Snook, Ryan landed three good sized Jacks, he is featured today with one of them. The massive and powerful Silver King aka the Tarpon, is one of the most sought after inshore game fish species here in South Florida. Whether it’s on fly, spinning, casting or conventional your always guaranteed one thing– A FIGHT! 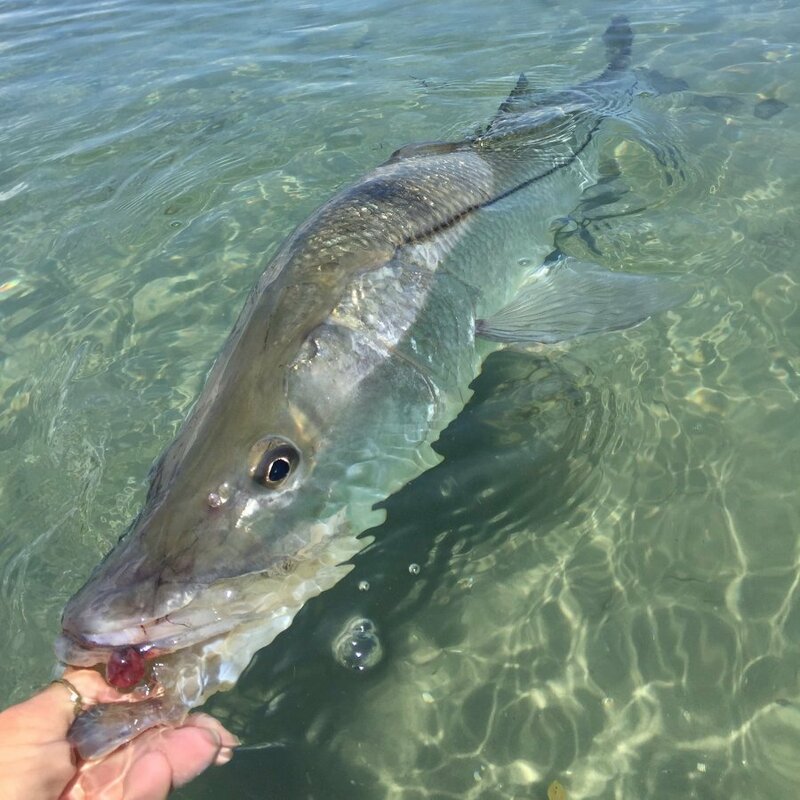 In South Florida’s amazing fishery, you can find Tarpon in almost any body of water since they can survive in anything from fresh to salt and everything in between including canals, lakes, back water creeks, on the flats, Inlets and bridges. To catch Tarpon, anything from Swim baits to Hogys and Jigs will work while the Tarpon are feeding as long as its presented properly. One of my Favorite ways to Target the full size migratory Tarpon is on bridges at night using artificials. One technique I use is letting the baits drift back into the shadow lines giving them a twitch or reel every few feet. Also I will blind cast and and reel fast sub surface brining my bait through bait pods (mullet, pilchards, etc) out in the open far out in front of the bridge. 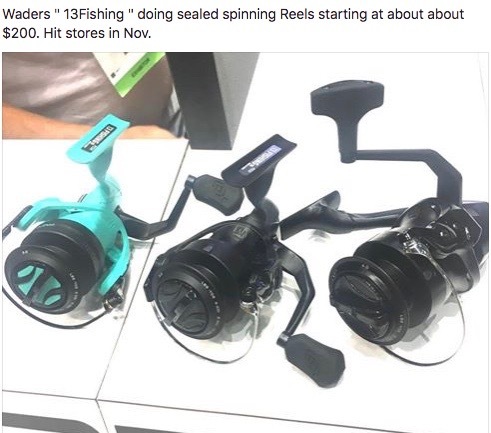 My preferred rod and reel combo would be my Shimano Twinpower BXG 8000 spooled with 65lb Power Pro Paired with the 8ft XXH 20-40 Shimano Teramar or the new Gulfstream Lures 8ft 20-50 FlairHawk rod(review coming soon) and 4 to 6 feet of 80-100lb fluorocarbon leader with a Gulfstream Lures 1.5oz Skimmer Flair Hawk tied to the end. My advice is to always follow tides, wind, moon phases and the time of year when certain baits are on the flush. For example, in miami when a cold front comes accompanied by the full moon, shrimp and other baits will run turning these tarpon on fire! We have a reprieve from the sun this morning! It is overcast and a good morning to be out on the jetties. Winds are blowing out of the South-southeast at 5 mph, gusting to 6 and there is a light to moderate chop on the water. No see 'ums are out in force today, be sure to take insect repellent if you head to the inlet. Winds are predicted to increase a little this afternoon and shift to the Southwest. There are no NOAA advisories but we have a good chance of showers and thunderstorms after noon today. 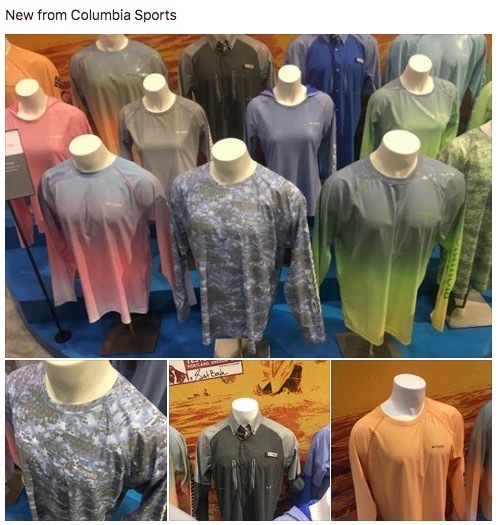 Get out and wet a line! 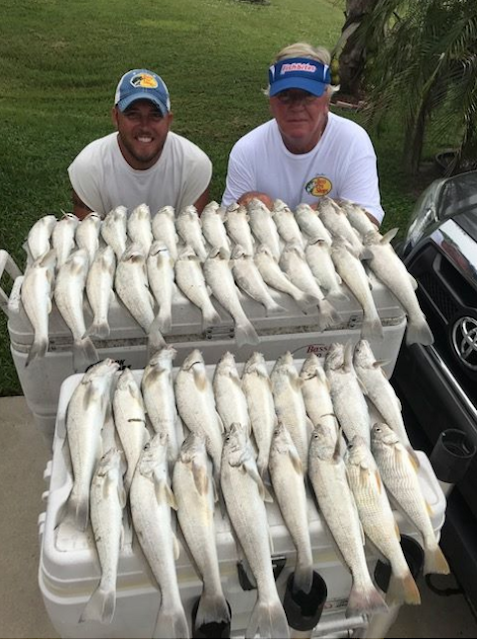 Tommy Turowski at the Sebastian Inlet Bait and Tackle Shop reported a fair weekend. The usual suspects are coming over the rails; Spanish Mackerel, Mangrove Snapper, Blue Runners, an occasional Lookdown or Jack. We are seeing good sized bait schools around the jetties and in the tide pool. This morning Mangrove Snapper are hitting. Our angler of the day is Justin Zimmerman. Justin sent in today's photo and reported the Snook bite has been good. They are in spawning mode and are hungry. Justin landed the good sized C/R Snook in the photo, it was safely released after the photo. A good rule of thumb when landing catch and release species is if you need a net to haul it up to the jetty, use a net to lower it back into the water. It's along drop from the north jetty. July 26-27: Spiny lobster recreational sport (mini) season. Size limit: Carapace (head) must measure a minimum of 3 inches and be measured in water. Bag limit: 12 per person per day unless in waters of Biscayne Bay and Monroe County (Florida Keys). License required. Lobster diving permit required. Information and complete saltwater fishing regulations at www.MyFWC.com. My wife Deb put in a request for a whiting and croaker dinner for tonight so the pressure was on this morning to catch some fish. Tuesday's outing was cut short by the thunder and lightning that came through in the afternoon while we were setting up at Dollmans Beachside. Randy and I managed to catch a couple of whiting before the storms hit. The highlight of the short-lived trip was an over the slot sized snook decided to eat a small pilchard I was bringing in on a sabiki bait rig. The big fish stuck her head out of the water and took everything with one big shake. Today's trip proved once again that there are days that you have to cover some ground to find the concentrations of fish. I started early this morning at the northern end of Hutchinson Island on Blue Heron beach. The bites were far and few between and stops at Middle Cove, Herman's Bay, and Normandy proved to be equally slow. I met my son Randy at Stuart Beach and walked on to find clean water and great conditions. The whiting, croaker, palometa, and even small pompano provided steady bites during the falling tide. Stuart Beach had a deep and well defined trough along the northern part of this location and the fish bit right up until noon time when we packed it in. We released as many as we kept due to their smaller size, but the action was consistent. The hot bait has been the clam-scented orange Fishbite and provided all of the bites. 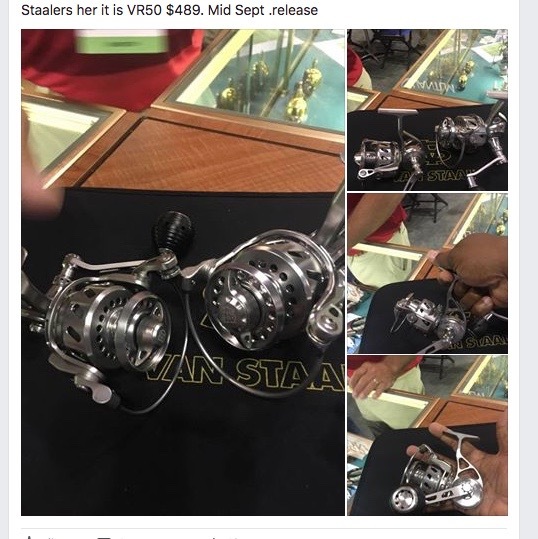 It is the time of year when live shrimp become impossible to get at the local tackle stores, but you will catch these fish consistently on the Fishbites. A live lined 6-inch croaker got attacked in the trough and came back to us bitten off right behind the gills. The hours surrounding the high tide mark is the best time to target these fish and I am sure if we had been there early in the morning and closer to high tide, our catch would have been better. I will be there tomorrow morning at dawn as the high tide is right around 6:30 am. Catch-and -release snook, whiting, croaker, palometa, and jacks should all be patrolling the near shore area so just pitch your baits, but do not cast them. 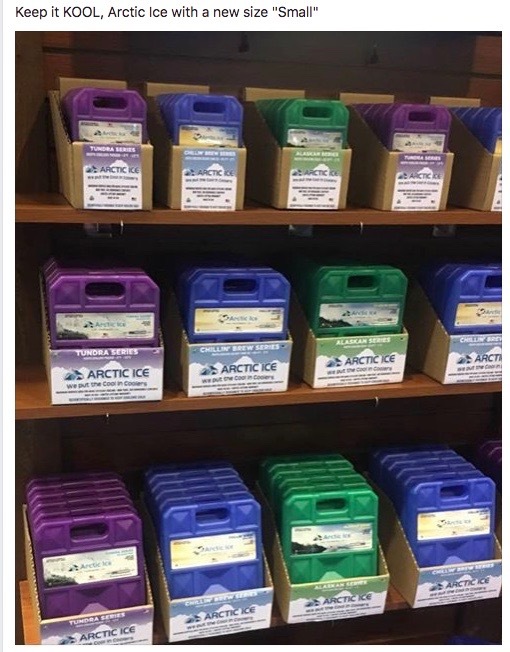 Get your orange colored clam-scented Fishbites, put ice in your cooler and hit the beach . Good luck and catch em up! In the Jensen Beach area, the Intracoastal Waterway and the St. Lucie River have been very hot. With the high water temperatures, best bets have been to fish super early or late. If you can handle the time, dock light fishing around 2 to 3 a.m. has produced an excellent snook bite off some of the deeper docks up the St. Lucie River and redfish and trout are being taken by the docks on Nettles Island. For snook, it’s catch-and-release only. After catching, don’t keep them out of the water for a photo shoot. Get them back in the water as quickly as possible. Along the bridges, there have been some big tarpon in the 100-pound range. Again, it’s an early-morning only session and they are hitting pilchards, mullet and even small ladyfish. Along the beaches in Jupiter, the snook bite has been really good. There have also been quite a few tarpon spotted rolling in the surf. In the Intracoastal Waterway and in the Loxahatchee River, things have been a bit slow, possibly because of recent heavy rains and some runoff. At the Boynton Inlet it’s snook, snook, snook. Anglers there are having a field day catching the now out-of-season fish. Best bets are outgoing tides working the inside of the north jetty. Jetty anglers are also having good luck catching mangrove snapper using live or fresh-cut bait. Fishing in the Intracoastal Waterway has been extremely slow in the area because of the high water temperatures. There have been a few small snook and tarpon taken while dock light fishing at night. Bass fishing on the lake has been excellent recently. If fishing early morning, that first hour is key. 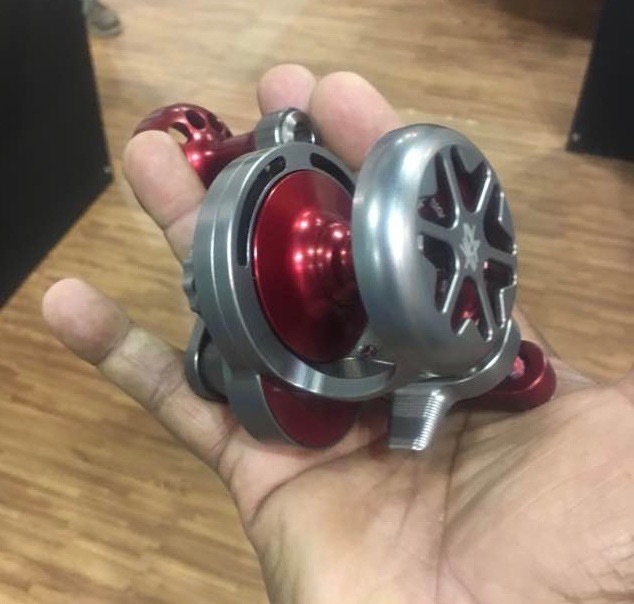 Anglers using top water plugs or Skinny Dippers are having the best luck. 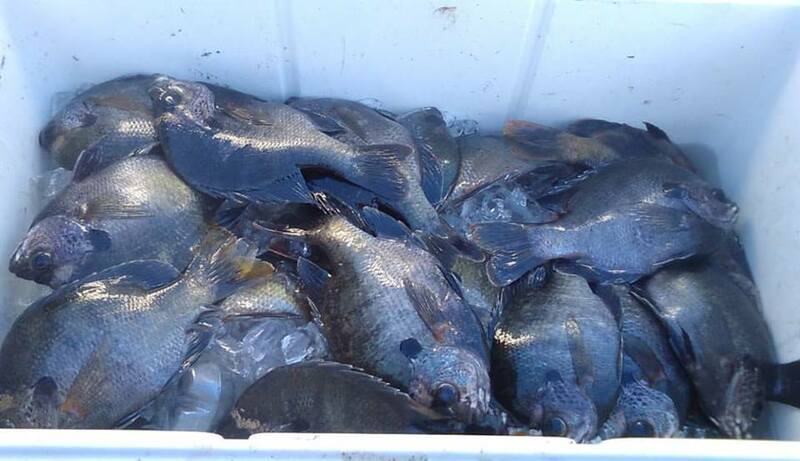 The bluegill fishing has also been good with most being caught on crickets or worms. We have light westerly winds this morning that are predicted to increase and shift onshore in the afternoon. There is a light chop on the water. Boating conditions are favorable through the weekend but we have chances of showers and thunderstorms in the afternoons. These hot, sticky summer days create challenging fishing conditions. Get out early in the mornings, late afternoons or evenings and avoid the heat of the day. The fish aren't very cooperative during the hot afternoons unless you are going offshore. Trying casting under overhanging trees, under docks and bridges where you may find Mangrove Snapper, Jacks, C/R Snook and Reds hiding. Our reports from offshore are good for Snapper, Bass, Triggerfish and Dolphin. Our angler of the day is Marco Gonzalez of Fort Meyers. Marco is quite an accomplished angler at 11 years old. His favorite place to fish is the Sebastian Inlet and he was there when he tried his luck on the south side T-Dock. First Marco netted his own mojarra then went to work on landing some fish. He wasn't disappointed in the large Spanish Mackerel he landed shortly after he began. Snook fishing has been fantastic from St Lucie inlet all the way up the beach to Fort Pierce. You can expect to find the fish cruising around the jetty’s/beaches feeding on small glass minnows and pilchards. Most effective techniques include fly tackle with floating/intermediates lines or free-lined live bait. 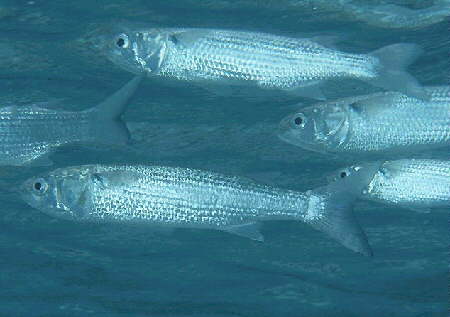 There are lots of tarpon around the crossroads currently. Live mullet and sardines have been getting the most bites on the last two hours of the outgoing tide. Small pods of mullet are starting to show in Ft Pierce-Vero beach area. Top water plugs or soft plastic shrimps are great baits to throw in and around these mullet schools. Hai Truong with a butterfly peacock bass. 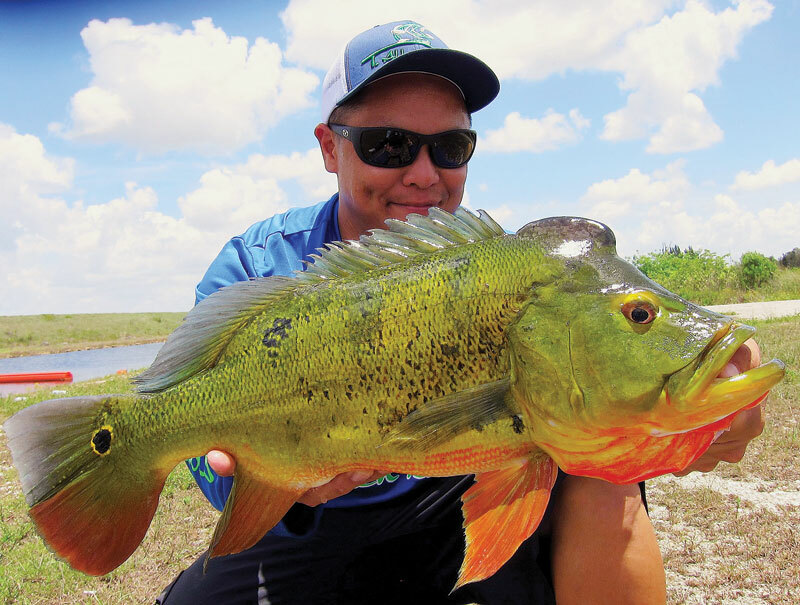 The South Florida “butterfly peacock bass” has grown much in popularity over the last decade or so, especially within the last few years. Fishermen from all over the globe book their trips to Miami-Dade & Broward County, saving big money and time on a trip to the Amazon. South Florida peacocks are engulfed by an asphalt jungle, split by hundreds of miles of freshwater canals, contrasted by blonde limestone and surrounded by residential homes, businesses, malls and other urban essentials to life in Florida. Known as the Fishing Capital of the World, Florida is home to a vast array of cichlids, originally found in South America and Africa. The “peacock bass” was introduced in 1984 by the State of Florida to help reduce or control other invasive and nonnative species. The goal was to lower the population or even eradicate various cichlids that had become thick throughout South Florida. “Peacock bass” are not in the bass family, which are actually in the sunfish family. Peacocks are cichlids, one of 1650 species that have been scientifically described worldwide (2,000 to 3,000 undescribed) and may have gotten their Floridian name for its beautiful colors and patterns, much like the peacock bird. The name “Butterfly” is also not accurate as the Amazon River is home to the real butterfly peacock, iconic for their three black diamond like marks on their sides, instead of the variations of black bars. South Florida is home to three or four types of peacocks. The ocellaris, monoculus, popoca and the monoculus phenotype which I helped confirm with Florida Wildlife Conservation Commission, Jack Vitek from the International Game Fish Association and Dr. Sven Kullander, the world’s leading biologist on cichlidae in 2009. Florida did stock the speckled peacock in 1984 as well, but it did not survive past the first year due to its much longer spawn cycle. Young peacocks are often mistaken for the speckled peacock, often displaying white specks throughout their bodies that will eventually fade as they grow. There are several theories of how all these invasive and nonnative species got here in the first place. Some believe the various species escaped fish farms or were illegally introduced and the most plausible reason would be inexperienced aquarium hobbyists, having exotic species imported from around the globe that they released into Florida’s canals and lakes once they outgrew their tanks. The South Florida exotics range from as far south as Homestead to as far north as Palm Beach County. Miami has the largest population and fish bigger in size due to the canals being three to four times deeper than Broward county, allowing these cichlids to seek warmer waters when the air temperatures drop below fifty degrees for too long. The Big Freeze of 2010 where nighttime temperatures dropped into the thirties for extended periods of time caused many species of fish and reptiles to die across Florida. Broward County was hit the hardest with dead peacocks seen floating along banks and canal walls in the thousands. Since cichlids originate from tropical regions, South Florida is the perfect host. Our climate, combined with an endless buffet of smaller cichlids, breeds of sunfish and baitfish and with few predators to worry about aside from man, has allowed for exotic species to flourish. 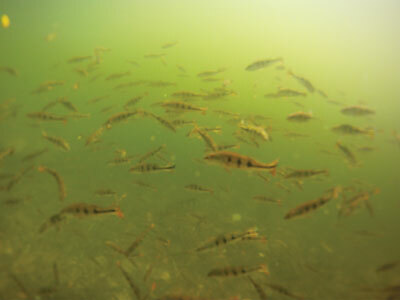 Spring to late summer is often thought the ideal time to target these cichlids as they tend to spawn, often yielding an easier catch on beds or with fry. 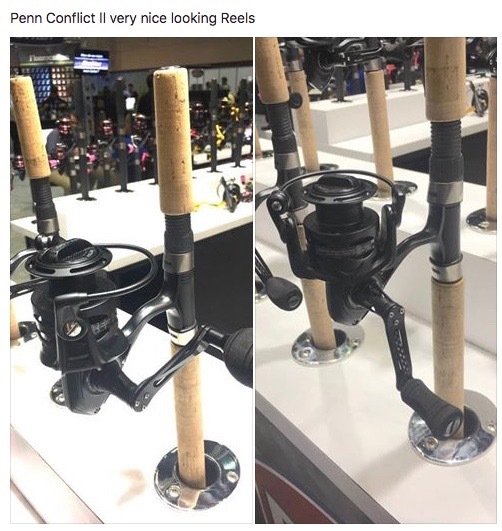 I believe the misunderstanding with this concept lies within the name given, associating this breed with that of largemouth bass and the bedding techniques used to catch them. Bass will almost always return to its nest while a cichlid will only do so if the male or female is not overstressed. South Florida’s winters or lack of make this the ideal breeding grounds for the peacocks and they will spawn year round so long as the water temperatures are ideal. This has been the case since 2011, replenishing the casualties from the previous years to present. Great news for fishermen as the state only stocked them once in 1984, in two locations. 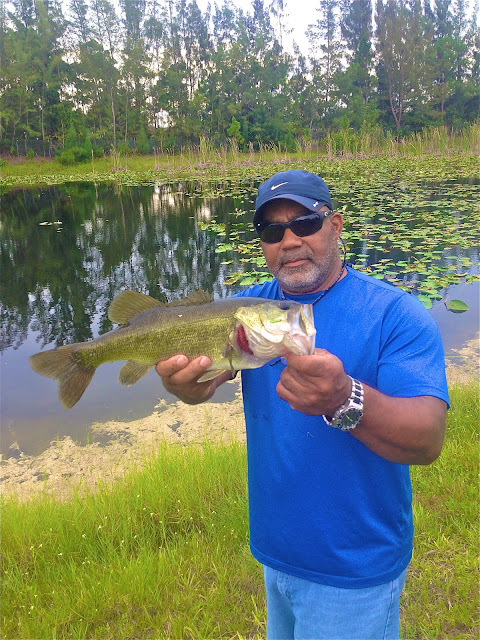 Should you like to explore the unique exotic fishery that we have here in South Florida, please take a moment to check out my website or follow me on social media. I’m available to guide you to some of the most exciting fishing that South Florida has to offer. We may have covered this before but I feel it bears repeating. When most folks fish with lures, they rarely consider how the fish they were targeting was hooked. It all boils down to types of strikes, a predation strike and a reaction strike. Understanding the differences between these types of attacks can help you improve your catch rate with lures of all types. By definition, a predation strike is what happens when the fish has actually tried to eat your lure. This means that you successfully fooled the fish into thinking your lure was actually a prey item. A predation strike is most often made obvious by the fact that your lure has either mostly or completely been engulfed by the fish. Fish like snook or trout are famous for utterly inhaling lures. When your lure is deep inside the fish's mouth, its hard to deny that it was truly trying to eat it. A reaction strike is what happens when you have either triggered a fishes aggression or curiosity. An aggressive reaction strike is hard to miss. 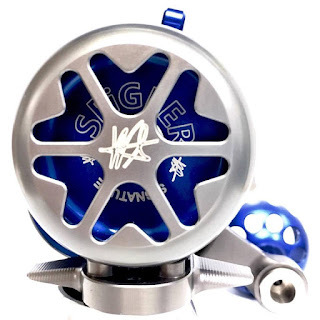 These are hard, often savage strikes leading to excited squeals of joy from the angler. A reaction strike stemming from simple curiosity is often far more subtle. Barely a light tap on the line or unmistakable heaviness on the retrieve when there should be none. Reaction strikes are often signified by the fish being hooked on the lips or even just outside the mouth. 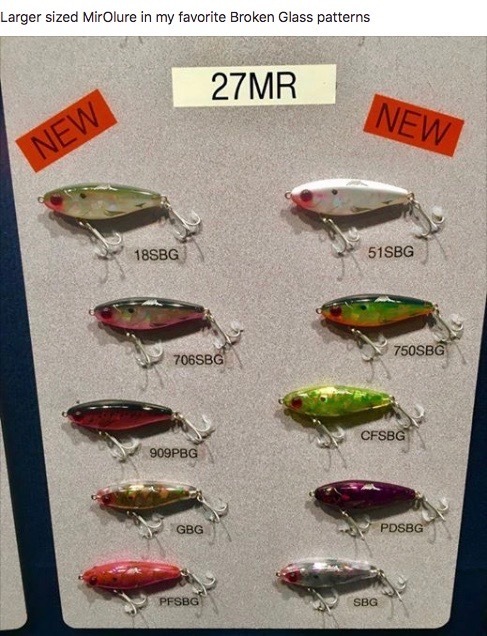 Lures such as swimming plugs or top water poppers in bright, flashy and unnatural colors are designed to achieve a reaction strike. Soft plastic shrimp, jerk baits and suspending twitch baits or buck tails in natural colors are designed to imitate natural prey items. Generally, when the fishing is tough such as when the water is clear and calm, you'll want to choose natural colors to trigger a predation strike. 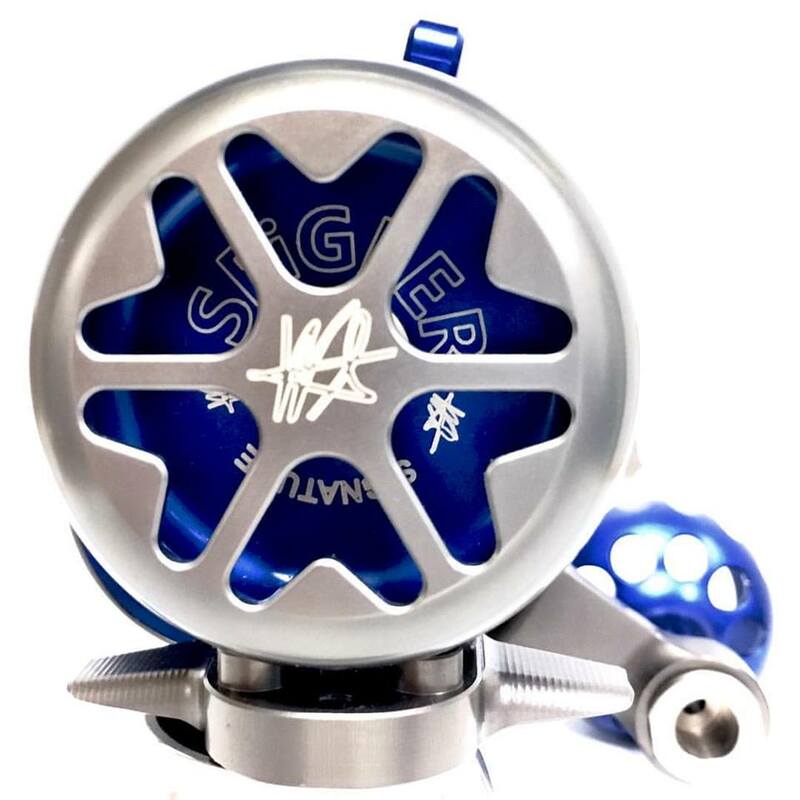 When fish are in stained or rough water, flashy or noisy lures often prove to be the better choice to trigger a reaction strike. We have light winds blowing out of the East-Southeast this morning that are predicted to increase in the afternoon. We have no NOAA advisories this morning but chances of showers and thunderstorms are likely after 2:00 p.m. today. The water temperature is bouncing around due to cold water pockets that are typical for summer. We received an update from inlet regular Mike Ricciardi of Vero Beach who fished the north jetty yesterday morning. Mike hasn't been having a lot of luck lately. 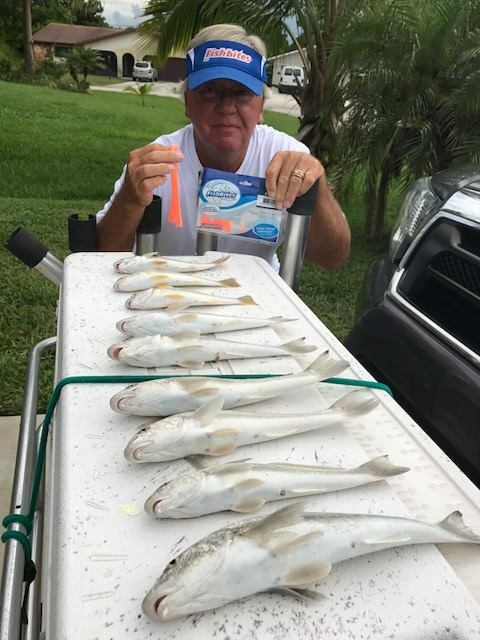 He reported a slow bite for most of the inlet anglers with an exception of inlet regular Tony Swiderski of Sebastian. Tony landed his limit of Mangrove Snapper early yesterday but everyone else had only one or two. The Spanish Mackerel bite has died down as well. An occasional Lookdown, Jack or Blue Runner will come over the rails. On Monday an angler was casting pretty far out into a school of Atlantic Spadefish and brought in four of them. That was the exception to the species that were coming over the rails. Our angler of the day is recent newcomer to Indialantic, Chris Ward. Chris has already discovered the joys of fishing the Sebastian Inlet, our local gem. Chris fished the south side and reported big schools of Snook of all sizes were pushing mojarra up against the rocks all week. What a great week of fishing! The big Snook was released unharmed right after the photo.